Tried thunder coola yesterday. 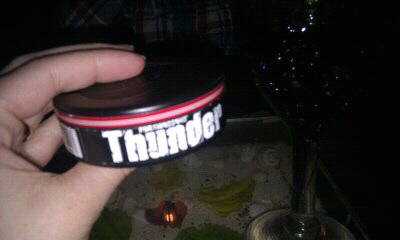 Great snus! F is impressed by Me using strong snus! I must say my favorite is still the purified snus. Tried licorice lemon just now after breakfast and i love the taste of that one. Now F and me are heading for the beach. Really hot here and I definitely don't complaine. Have a wonderful day everyone! 1 comment on "Thunder coola"
Wow, from minis to Thunder? You go girl.